If you thought that Japanese fashion merely consisted of schoolgirl outfits and Hello Kitty purses, think again. 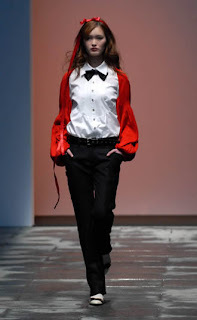 Japan Fashion Week kicked off last March 12 in Tokyo, representing Japan's domestic fashion industry for the fourth time. The 2007-2008 Autumn/Winter collections from 38 brands hosted by The Tokyo Collection were featured. The Japanese should be very proud to showcase their fashion to the world, with their quirky, interesting and very unique designs that show a lot of individuality. Following are designs from some of my favorite Japanese brands. Kazuaki Takashima is the quirky designer behind Ne-net. 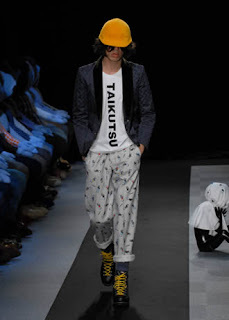 His fashion brand's "global view" is said to be expressed as being "kimokawa," meaning "sickeningly cute." Takashima stated that they "want to express all the different feelings that come between extremes like relaxation and nervousness. Maybe that's what being kimokawa is all about." Creative and weird (in a good way,) eh? It definitely shows in the clothes. The giant hoodie is just crazy but it's so cute. I think that outfit best represents Ne-net's "sickeningly cute" theme. The outfit on the right looks more wearable, but I'm not a big fan of the shoes. 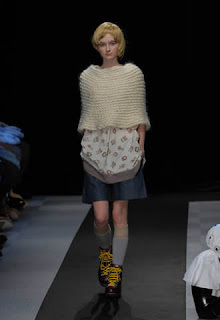 I love the look, but let's save the knitted cover-up for La Niña, shall we? The hat, jacket and the shirt on the male model look very cool and actually wearable. I wonder if any guy can pull off wearing pajamas aside from that model, though, but it really is quite adorable in a geek chic way. Or maybe it just reminds me of The O.C. 's Seth Cohen. 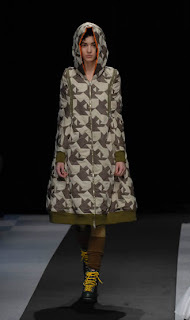 Everlasting Sprout is a more feminine brand by designers Keiichi Muramatsu and Noriko Seki. 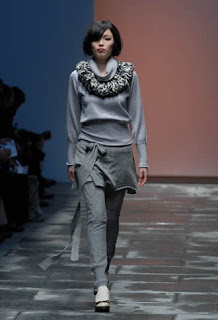 They are known for their gorgeous knits that they use to create their soft silhouette sweaters. I love how their collection looks pretty and girly but still strong and sophisticated. 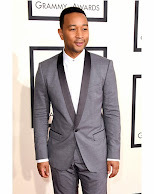 These outfits have definitely given me some ideas on how to bring my wardrobe up a notch. With cooler weather coming our way soon, ponchos, sweaters and hoodies are gonna come in handy! Japanese fashion and get-up. Now that's really one of my interests. I mean, I like seeing them. Siyempre hindi ako magsusuot niyan. I usually appreciate their fashion from their music artists like bands and solo acts. Ang gaganda kasi ng mga get-up nila, even hairstyle and accessories. By the way, have you heard of the "ganguro" fashion? Those stunningly freaky girls fashion? Nyehehe.